There are a number of benefits to building a Riverbend Timber Framing home. It will be beautifully designed to reflect your lifestyle. It will be lovingly crafted by timber artisans. It will protect you and those you care about, enduring for generations. There is, however, an additional benefit to entrusting our experienced professionals with your dream home. Your Riverbend timber frame home will be highly energy efficient. The energy efficiency of a Riverbend residence is a cost-saving, earth friendly benefit to every Riverbend owner. If you are among the large and growing group of people in search of additional energy efficient and green opportunities in your custom, timber frame home, we hope you’ll consider the five items below. Because your Riverbend Timber Frame home is built with a structural energy envelope, it will already be energy efficient. For example, Riverbend builds your home using Structural Insulated Panels (SIPs) rather than 2” x 6” framing and batt insulation. This creates a home that has a much higher R-value. [i] Higher R-values translate to utility cost savings. However, you can further optimize your home’s overall energy performance by incorporating other energy efficient products. Energy Star dishwashers, washing machines, and refrigerators are also outstanding energy efficient opportunities for homes located in the United States and Canada. Additionally, in both countries, you may be eligible for rebates or even tax credits. 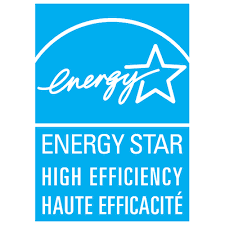 You can learn more about, and search for, ENERGY STAR rebates in the United States here, and Canada’s here. Very little is friendlier to our air quality than wood timbers. However, if paint, stain, or sealants used on and in your timber home are not low in volatile organic compounds (low-VOC), your home may not be as environmentally friendly as you think. This is because chemicals are released into the air as the products ages. By combining your home’s timbers with low-VOC products, (including furnishings), you decrease the chances of developing health related problems due to chemicals. For those who suffer from asthma, other respiratory issues, and certain heart conditions, the use of low-VOC products can be even more important. Eco-friendly, low-VOC stains and sealants are products that the science community has espoused the use of for quite some time. Designing a beautiful and green home is vastly rewarding. But undoubtedly, knowing you are placing a priority on you and your family’s comfort and health is the best reward of all. Once only a trend, renewable energy technologies are rapidly gaining adaptation among new homeowners. Today, programs across Canada and the United States exist to provide incentives to homeowners who implement renewable energy technologies. Examples include incorporating wind, geothermal heat pumps, or solar photovoltaics into your new home. Minor adjustments to your lifestyle may bring major rewards in your search for energy efficient opportunities. Installing high efficiency faucet aerators, for example, can reduce water usage by 30%. Additionally, by installing low-flow shower heads you’ll reduce your shower water usage by up to 50%. By implementing both, many thousands of gallons of water can easily be conserved. Some sources place the water reduction at over 5,000 gallons (18,927 liters) of water a year. 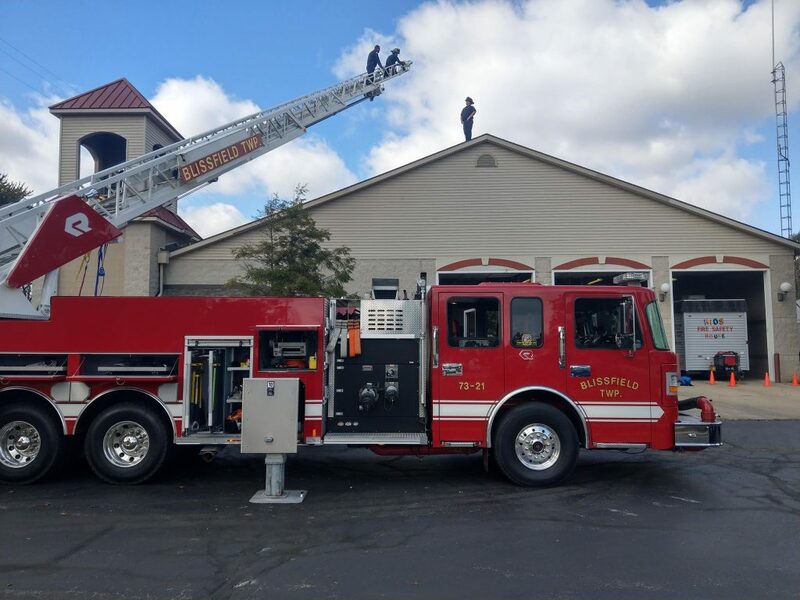 That’s enough water saved to fill a fire engine like the one below, more times than you might imagine. Other easy lifestyle changes that result in energy efficiency? Turning off light fixtures in unoccupied rooms and plugging multiple household items into a power strip. Unless you live with teenagers, ensuring empty rooms aren’t blazing with lights left turned on, is easy. Utilizing power strips that can be turned off when inactive is an additional (and simple) way in which to decrease your home’s carbon footprint. By working together, you and your design professional or architect ensure the equipment is the correct size for your family, the home’s square footage, and layout. A two-level home with over 4,000 square feet of living space could require a very different system than a 1,500 square foot, single-level cottage. Additionally, that single-level cottage may have different HVAC system needs when built for quiet retirees versus a small family. Opting for a renewable energy technology also impacts your HVAC needs. 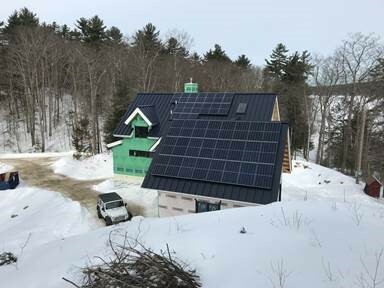 As an example, if you are considering installing solar panels, you may not need the large capacity heating system that you initially considered. The number of family members (and guests!) must also be taken into account when considering renewable energy and its impact on your HVAC system. If you are unsure about the HVAC needs of your Riverbend home, don’t be. 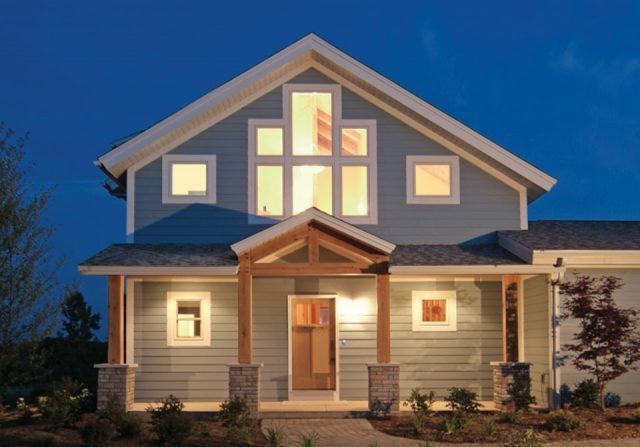 As part of our whole-home approach, Riverbend consultants generate Manual J, S, and D calculations for your construction documents, ensuring your system will be optimized for health, comfort, and of course, energy costs. To see more images of the Washtenaw residence, click here. Read Bob Vila’s article about how to choose the right HVAC System for your home, here. Photo credits: Chamber for measurement of volatile organic compounds emitted from furnishings image via scienceimage. scienceimage is a free image library specialising in science and nature images. It is presented by CSIRO, Australia’s major science research organisation. All images in scienceimage are free to the public under the Creative Commons Attribution 3.0 Unported (CC BY 3.0) licence. [i] R-values are used in describing effectiveness of insulating material and in analysis of heat flow across assemblies (such as walls, roofs, and windows) under steady-state conditions. Individual product’s stated R-values can be misunderstood as some are additive and some are not. The more a material is intrinsically able to conduct heat, as given by its thermal conductivity, the lower its R-value. [ii] Some Low-E windows use argon gas-fills; argon is an inert gas with higher resistance to heat flow than air. [iv] A taxpayer may claim a credit of 30% of qualified expenditures for a system that serves a dwelling unit located in the United States that is owned and used as a residence by the taxpayer.